A sensational strike from Phillippe Coutinho plus a late goal from Raheem Sterling ensured Liverpool moved just a point behind 5th placed Southampton with a comfortable win at St. Mary's. St. Mary's was pumped up in anticipation of a hard-hitting scrap between Southampton and Liverpool both battling it in the race to join the Top 4. Proceedings were set alight early on with an absolutely cracking strike from Coutinho to give Liverpool the lead. The move initially started with Markovic scampering down the left flank until he knocked it to the Brazilian goal-scorer in the centre from 30 yards out. Coutinho took a few small strides and unleashed a fierce, but curling pearler into the top left hand corner. A flabbergasted Forster couldn't believe he was beaten as players rushed to celebrate with a passionate Coutinho. 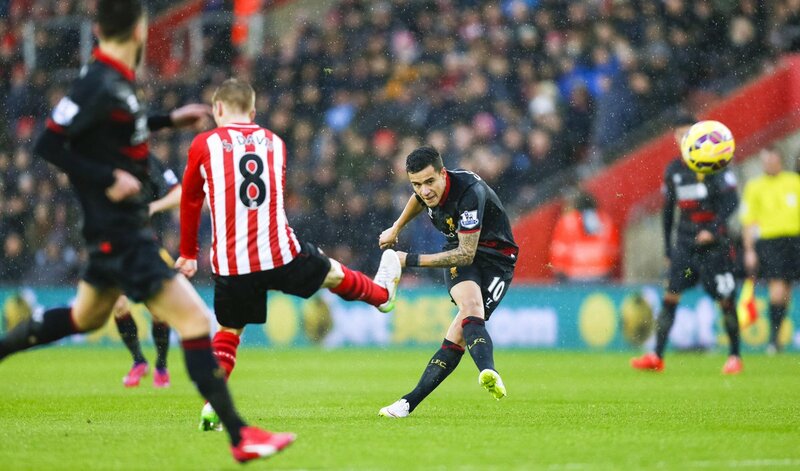 A minute following the Reds' early goal Southampton piled forward in an attempt to cancel a fantastic strike out. Djuricic stormed into the Liverpool box and Allen lunged in to thwart him of appearing in a goal-scoring position. There were massive calls for a penalty but referee Kevin Friend told a furious Djuricic to get up. Proceedings calmed down after a quick, hard-hitting opening five minutes. The Saints maintained possession and attempted to break through Liverpool's backline for an equaliser but no no avail. Pelle was being restricted of any real movement and time on the ball. Sterling blistered down the left channel and cut inside the box until the youngster was brought down by a determined Fonte who lunged in with two legs. One angle showed that is was a penalty after the Saints centre back didn't appear to touch any of the ball but then on a different angle Sterling was challenged fairly as Fonte got the ball before putting his attacker over. The referee was called into action once more and this time Mignolet almost handed Southampton a gift. A long ball was launched up top with Elia chasing it at full speed until a charging Belgian keeper exited his area and pounded the ball away with his gloves; causing all sorts of speculation as to whether he was fully outisde the box or not. The Saints couldn't believe their luck as the official once again dismissed the home side's appeal. Koeman's men concluded first half proceedings strongly with more possession and chances being created. A corner provoked a huge scramble in the area as Mignolet flapped at the ball but the Saints were unable to make him pay and convert a goal. The referee signalled the end to the half with Liverpool leading but Koeman's team must have felt hard done by. Coutinho's magical strike gave Rodgers' men the lead but Southampton were looking just that little more dangerous and perhaps deserved a penalty aswell. Alberto Moreno replaced Lazar Markovic for the second half, with The Serbian not being played in his prefered position to begin with. Pelle looked to equalise for Southampton and considering his lack of form and confidence it would have meant the world to him. He retrieved possession in the centre but his reluctance to pass the ball with players around him resulted in his shot blootering over Mignolet's goal. The Saints piled forward in desperate search for an equaliser. Elia scampered down the left until he was robbed off possession. Mane won it back but his shot was blocked and the ball tumbled out from a corner that Skrtel eventually headed away with ease. With just under half an hour remaining, Rodgers brought star striker Sturridge on. The Reds had struggled to offer any real threat up top after Coutinho's stunner and that is what the Liverpool manager looked to change and ensure his side sealed all three points with another goal. Sturridge would make his presence known in enemy territory as he left Fonte for dead but before a clear shot at goal presented itself the Englishman was thwarted and the ball trickled out for a corner. 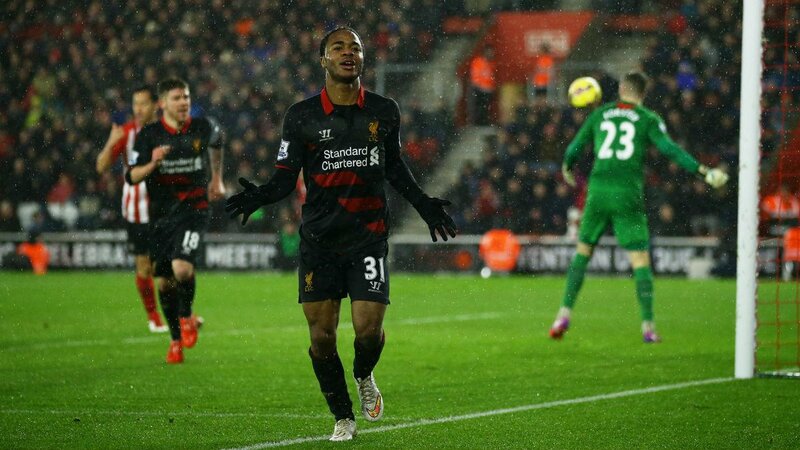 Liverpool wrapped up what was a superb, hard-fought victory when Sterling slotted home with 15 minutes remaining. Moreno initially robbed Schneiderlin and scampered inside the area. His lay-off only found Targett but the Southampton man's slippery touch gifted Sterling a golden opportunity to slot a close range shot past Forster. Game over. The final whistle sounded and Brendan Rodgers' men exited the St. Mary's pitch with all three points after two goals from two of arguably their best players. The Reds only had a small amount of shots on target, but killer instinct was alive and that is what's needed against teams like Southampton who would feel hard done by considering they had plenty of possession and created many chances. FIFA Presidency: Figo for the future? 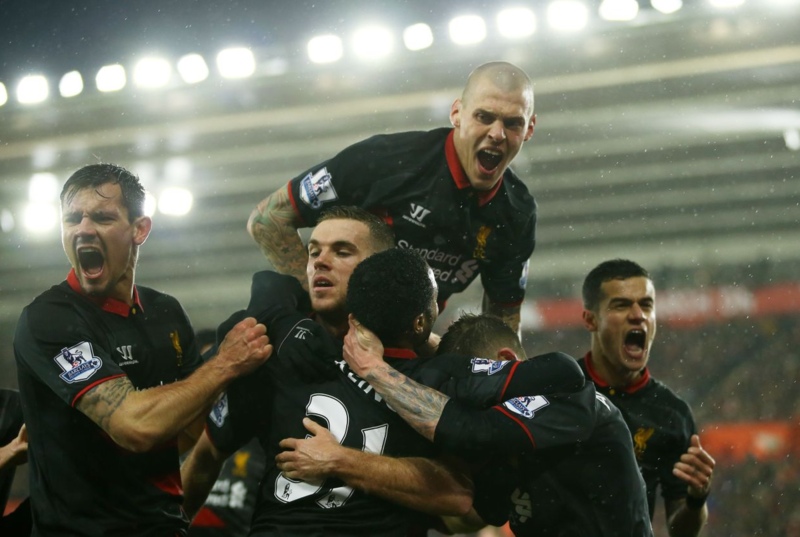 Match report: Southampton vs. Liverpool in the Barclays Premier League.